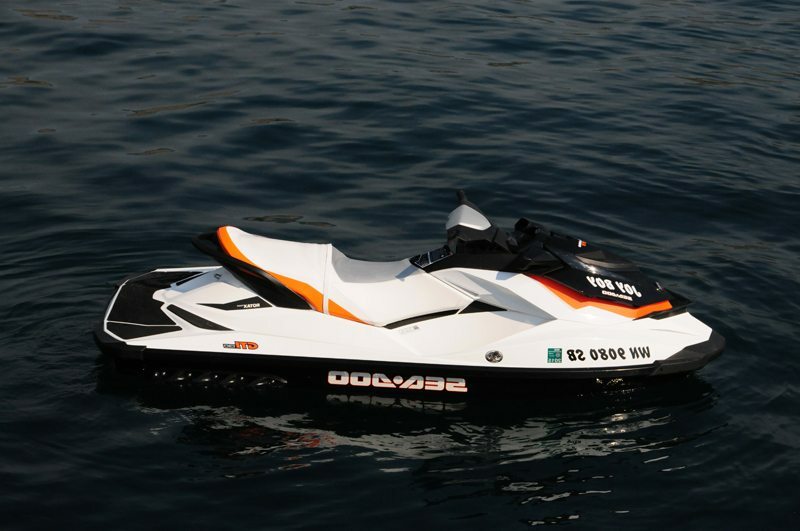 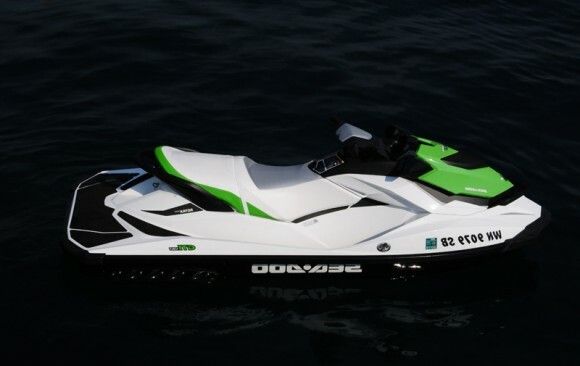 We offer 1,2,3 or 4 seat jet skis. 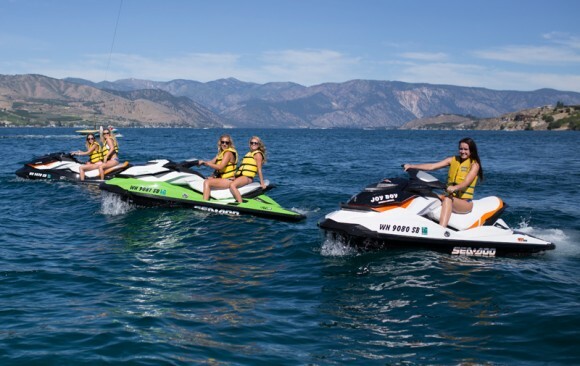 We offer an extensive fleet of Sea-Doo’s which are some of the highest quality jet skis on Lake Chelan. 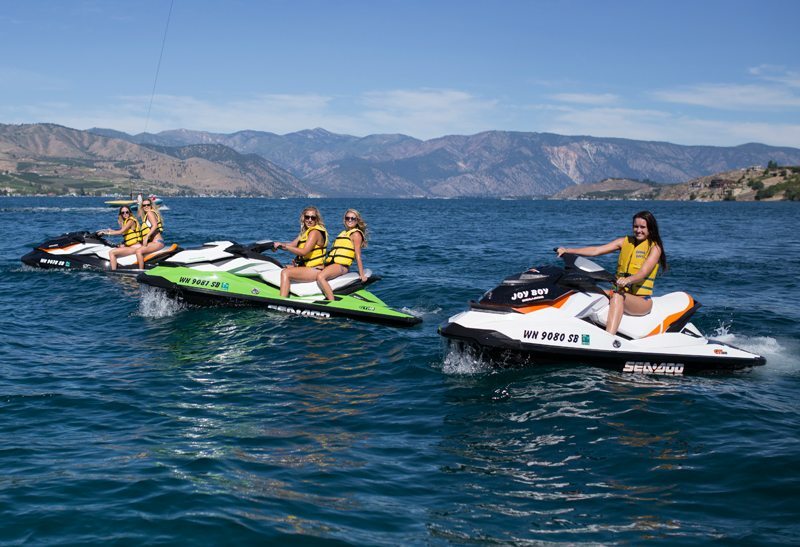 Safe & fun featuring the worlds only on-water break. Stop sooner with the Sea-Doo’s exclusive intelligent brake and reverse system. 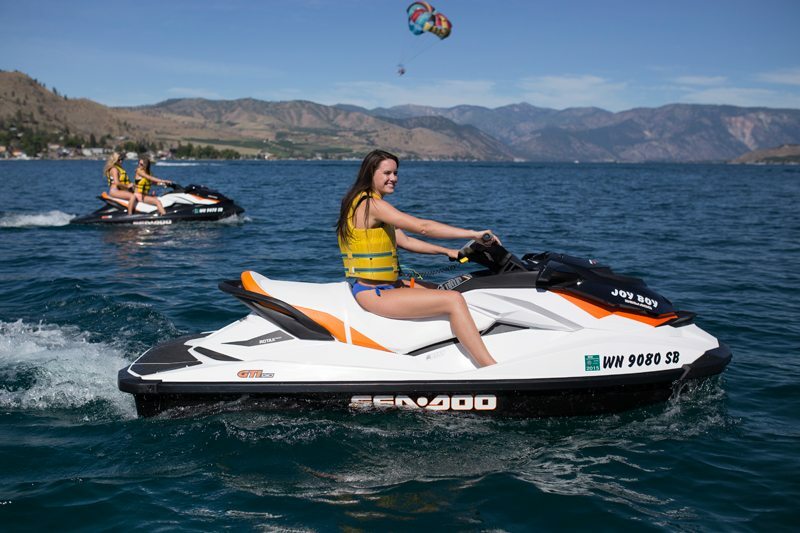 Chelan Parasail & Watersports is famous for being the first parasail operator in Washington State, but that’s not all we offer! For Lake Chelan jet ski rentals we maintain a fleet of state-of-the-art Sea-Doo jet skis, seating anywhere between one and four riders, and we guarantee there’s no faster route to thrills; you’ll be up and zipping around Lake Chelan nearly as quickly as you can type “jet ski rentals near me”! 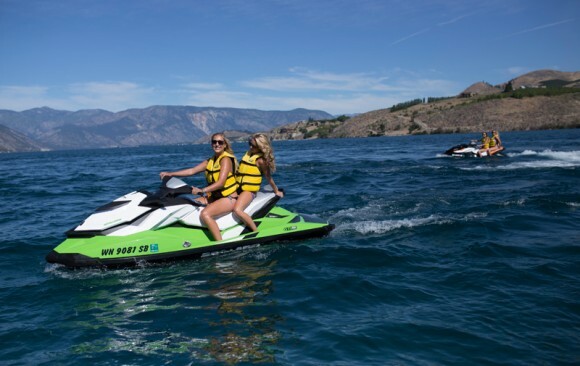 Our fleet of Sea-Doo jet skis incorporates the exclusive iBR (Intelligent Brake and Reverse) system, recognized by the U.S. Coast Guard for improving boating safety since its introduction in 2009. 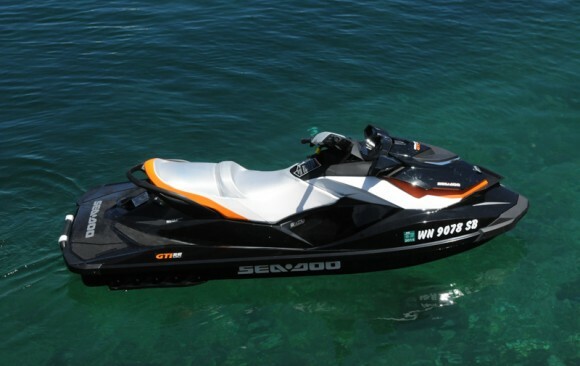 You’ll maintain better control of the jet ski than ever before possible, dramatically reducing stopping distances and improving maneuverability. 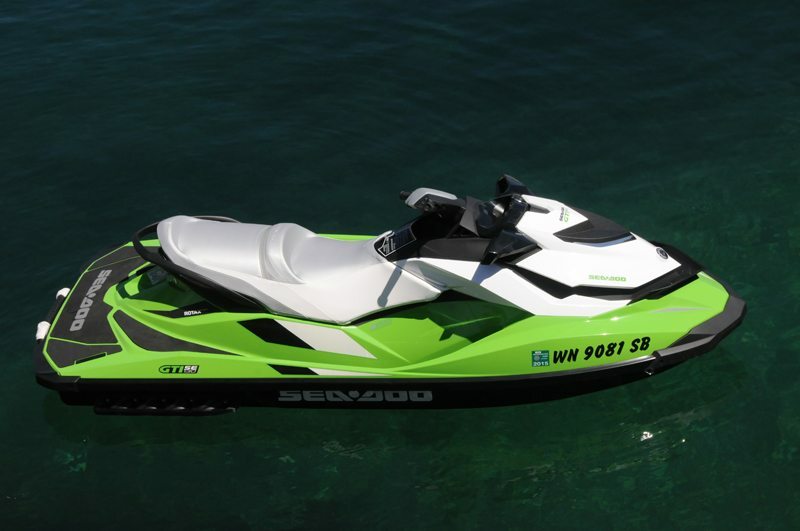 It’s as simple and intuitive as squeezing the hand brake on a bicycle. 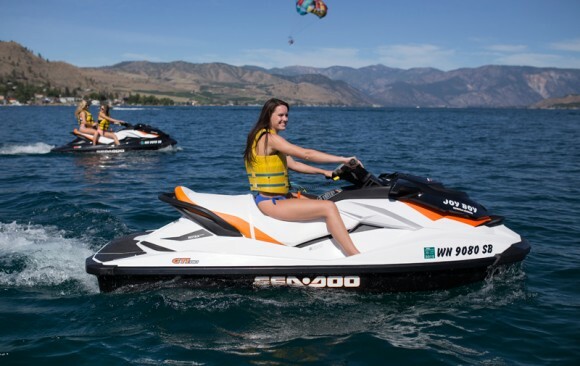 Safety is always our first concern, and our track record has earned us a reputation for providing the finest jet ski rentals Chelan offers. 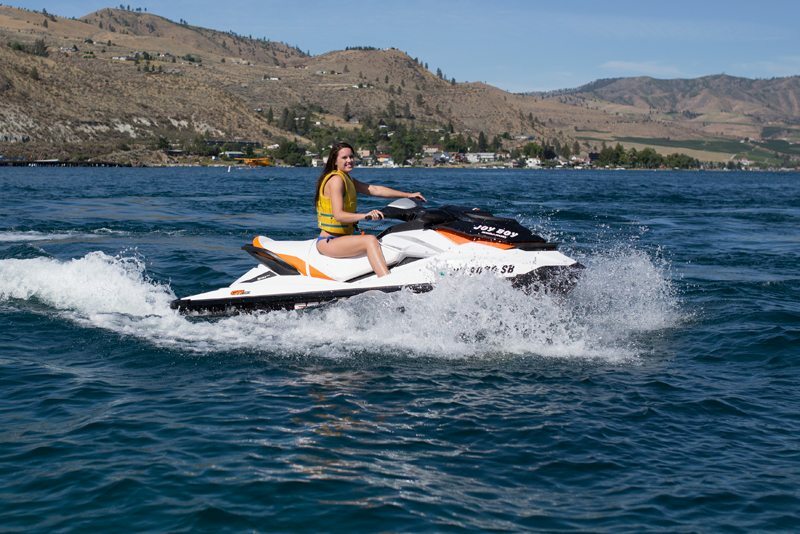 After a brief orientation, we issue jet ski operators a state-approved temporary license; jet ski drivers must be at least 18 years of age. 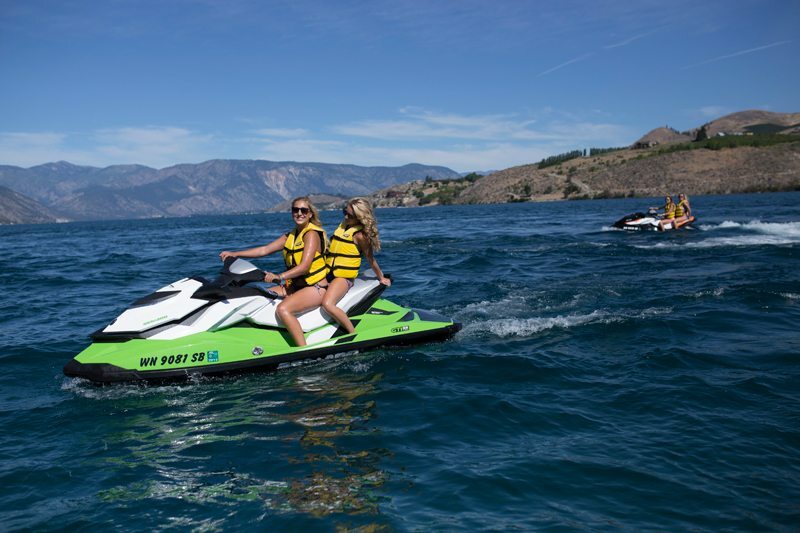 Jet ski’s can be rented for duration’s of 1, 2, or 4 hours with prices as low as $30 per hour.